I thought it was a lot more awkward that Harry was walking like a troll. 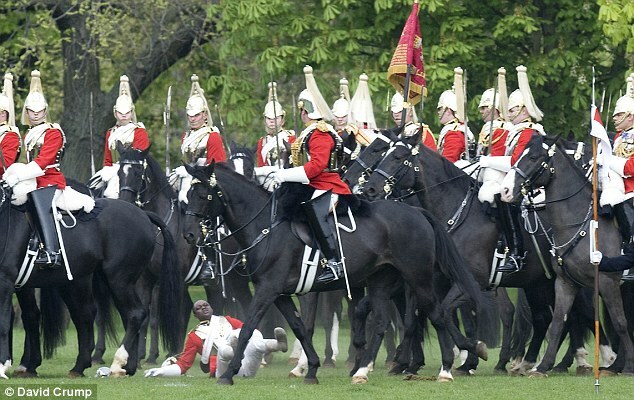 He's been through Sandhurst, surely someone told him how to stand up straight? And William slouched so much sitting down that he managed to look almost overweight. I thought the the Archbishop's hair fiasco was worse, he looked like a hermit and had caterpillars for eyebrows. Then again, he can always fall back to being the voiceover man for trailers. I also saw his overgrown eyebrows!!!!!!!!!! LOL I think some people stuggle to put on the wedding ring on their wedding day, I don't think it would naturally slip in. 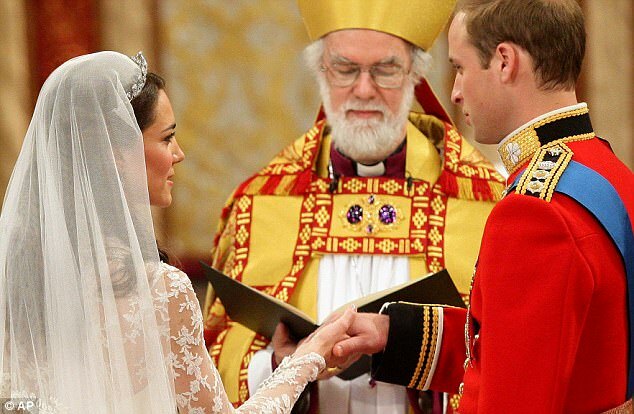 Anyway, the time William took to put on the ring on Kate's finger was longer than the kiss! Wth? It happens to a lot of people, except their weddings are not being televised to billions of people worldwide. Don't know what your fingers look like but that usually happens with rings - since the joint is wider. Nvm that; the awkwardness when the King of Tonga looks just like Mohammed Al Fayed and everyone goes Why's he at the wedding? Harry blazing a joint then entering the church and laughing at every little thing. I agree with all but the Posh and Becks part. I've heard they're quite close to William and Harry in particular, and I know KM and Victoria have exchanged clothes (?). I think V looked very elegant today as well. Anyway, for me the most awkward thing was when all the lesser royals got escorted in mini-buses. They looked HUGELY unimpressed. Also I would have thought Samantha Cameron's fashion faux pas would have be near the top of the cringeworthy list Guarantee she forgot the hat lol. This, usually pampered Beatrice looked less than happy. Well, I'm not surprised! With those antlers she was wearing, I'd be less than impressed as well! I liked how the media made that out to be the end of the world. What is it with needing a hat for a wedding? As far as I can tell, it just serves as an annoyance for the person sat behind you! Some parts were well, excruciating to watch. 2. The general international embarrassment of our Archbishop's questionable personal hygiene and his yeti-like appearance. Standing next to balding Prince Will, the contrast between the two hairy and hairless men was both amusing and yet cringe worthy at the same time. 3. The bloody tool who fell of his horse during the procession (rehearsal). We'll have a postcard next time luv! 4. The fact the Posh and Becks turned up. Who even invited them? They'd be better off meandering around in Sports Direct or something. 5. 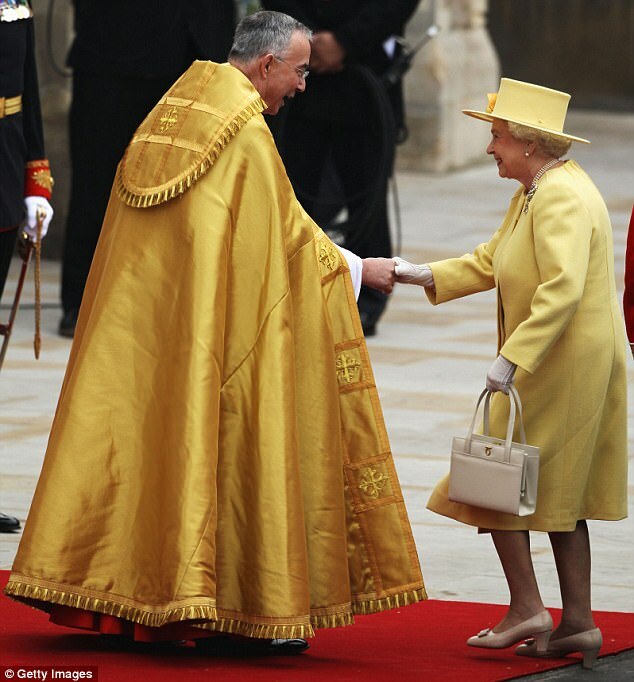 When the Reverend and Queen tried to out-yellow each other. My eyes couldn't take this disturbing amount of yellow in just one shot. They should have coordinated or something. Well, they tried their best but it just wouldn't have a been a true British event without some toe curling moments. You find all that cringeworthy? You need to rethink your sad little life.